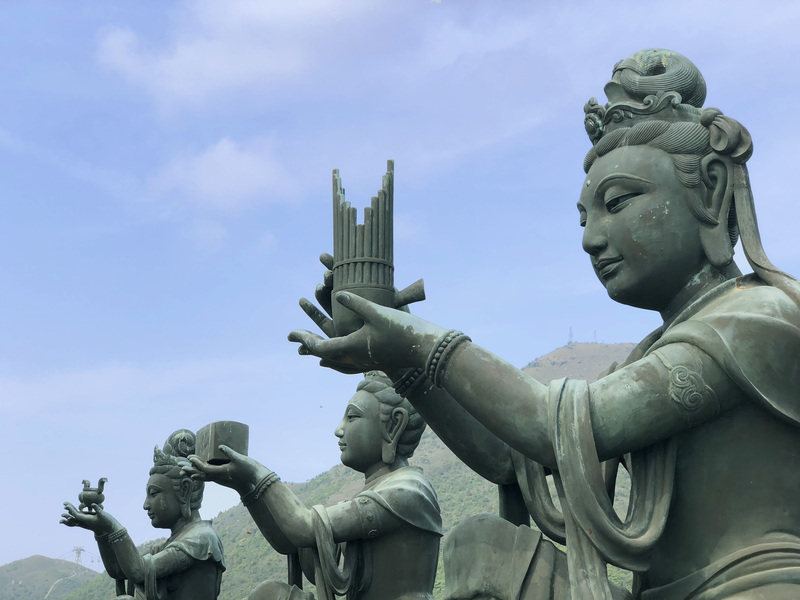 While landing in Hong Kong if you look out from your window and if the weather is clear, you might be able to see a tiny little figurine of Buddha sitting atop of a mountain. 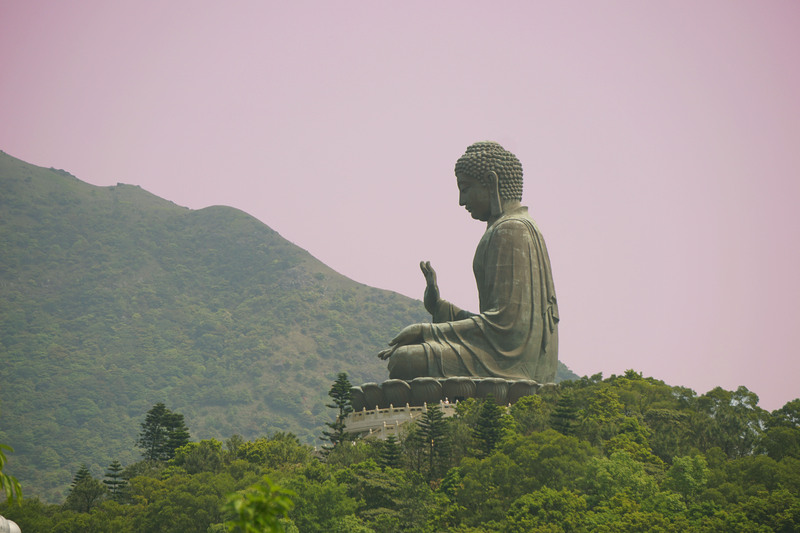 Informally known as the Big Buddha, Tian Tan Buddha is one of the best tourist attraction in Hong Kong. 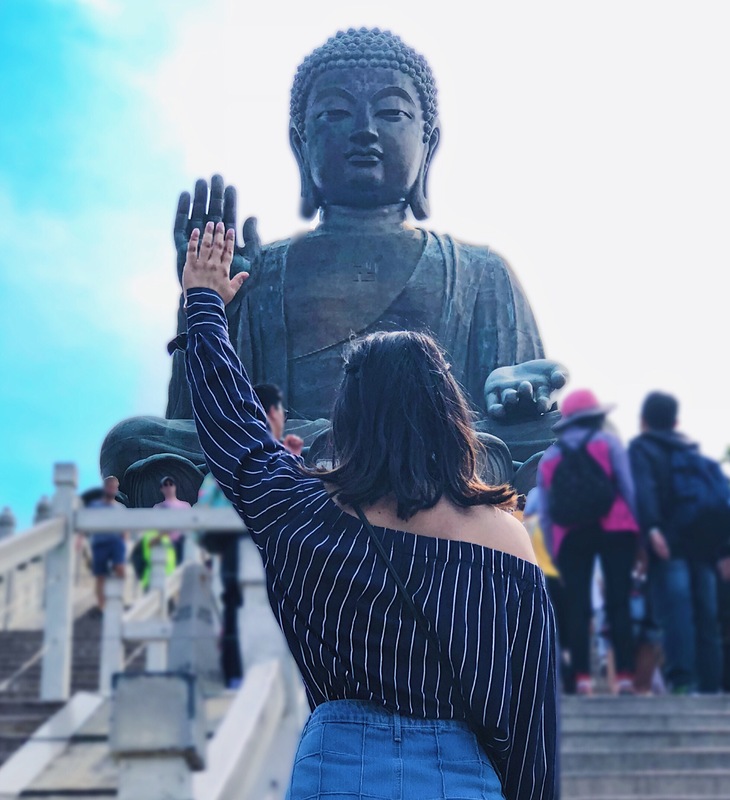 Situated in Lantau Island this huge bronze statue draws tourists and pilgrims from across the world. 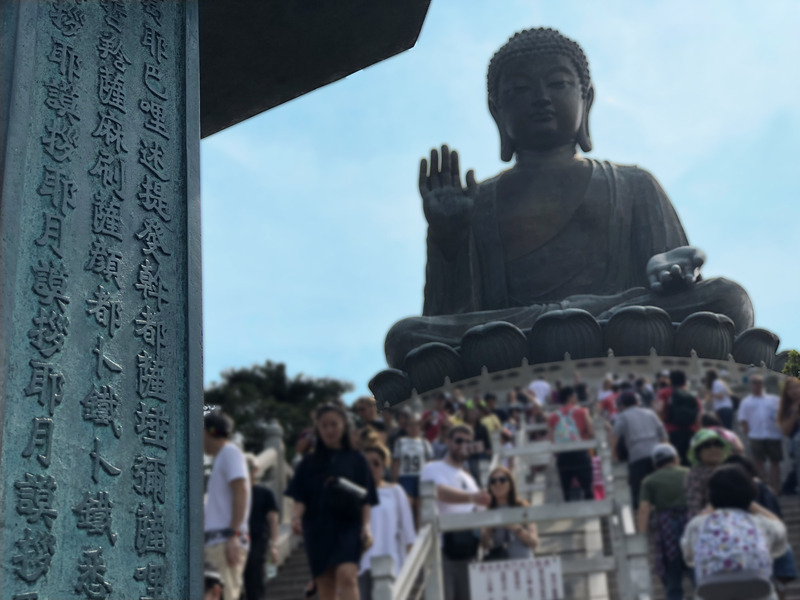 On the second day of our visit to Hong Kong, we decided to visit the Tian Tan Buddha and made use of Hong Kong’s very efficient Public Transport. 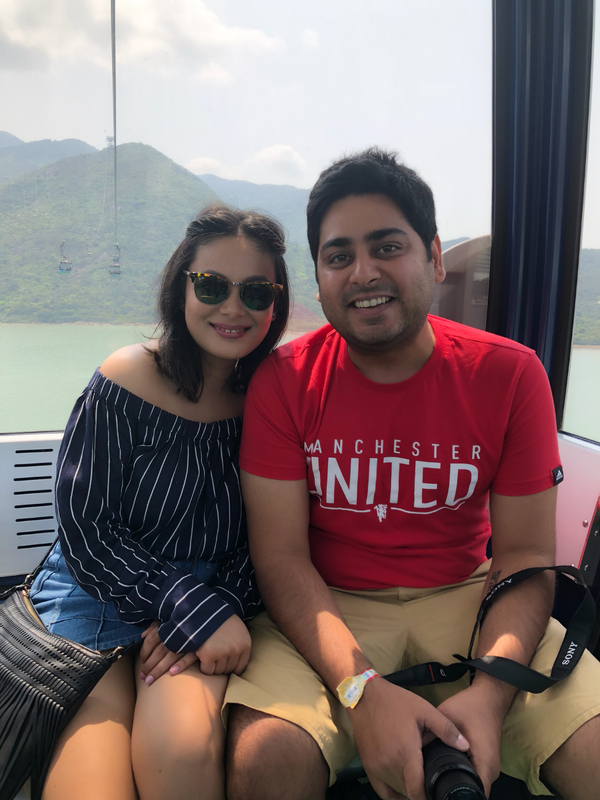 We arrived at the Tung Chung Station and from there headed towards the Ngong Ping 360 ticket counter with ease as directions were well labelled. 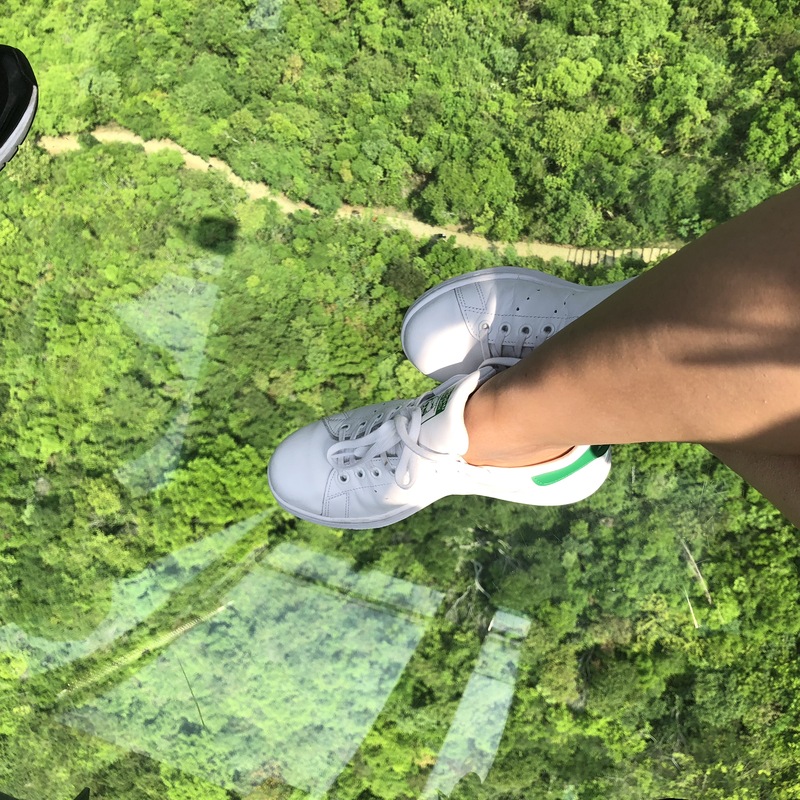 The views of the river, lush green forests and the trail up to the Ngong Ping Village were amazing and we would highly recommend you taking the crystal cabin, it sure is a bit more expensive but worth every penny, not to mention the line for the crystal cabin is way shorter than the standard cabin one. 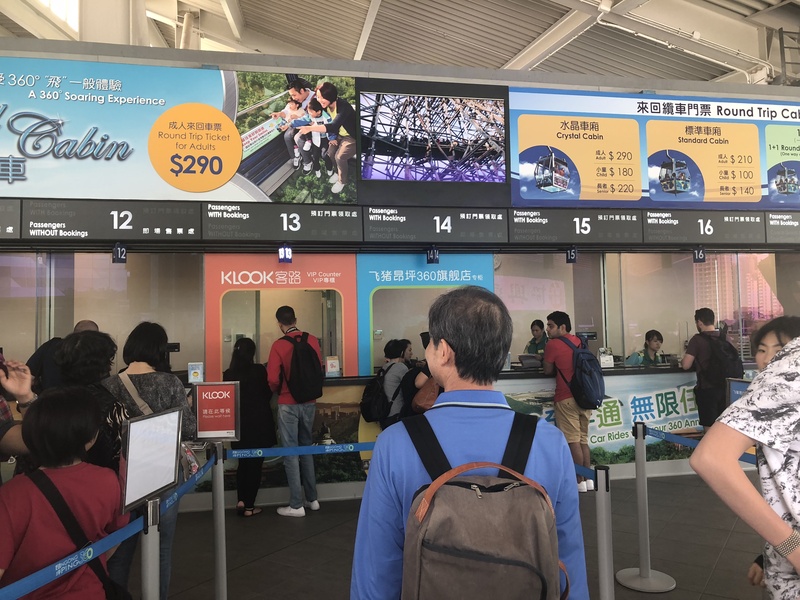 Talking about the queues, as mentioned earlier, this attraction draws an enormous number of tourists and locals alike and hence the queues to get on the Ngong Ping 360 Cable Car can get very long. But you can always purchase your tickets from Klook and make use of the Klook VIP fast lane. 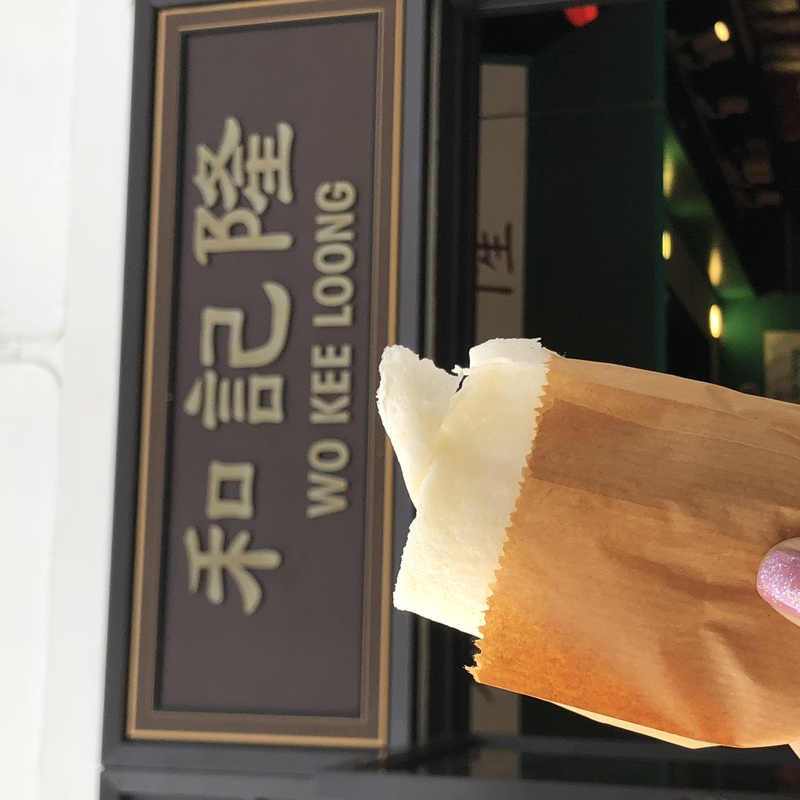 After a 25-minute ride in the Crystal Cabin Ngong Ping 360 Cable Car, we reached the village of Ngong Ping where we were greeted with a delicious aroma of freshly baked coconut waffles…make sure you try one on your visit! 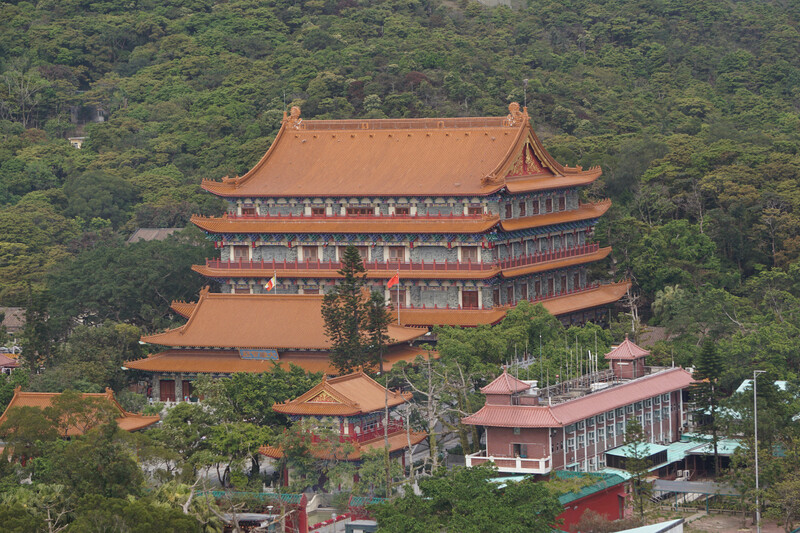 The village has a lot of restaurants including a Starbucks, several souvenir shops and a few Interactive Multimedia attractions. 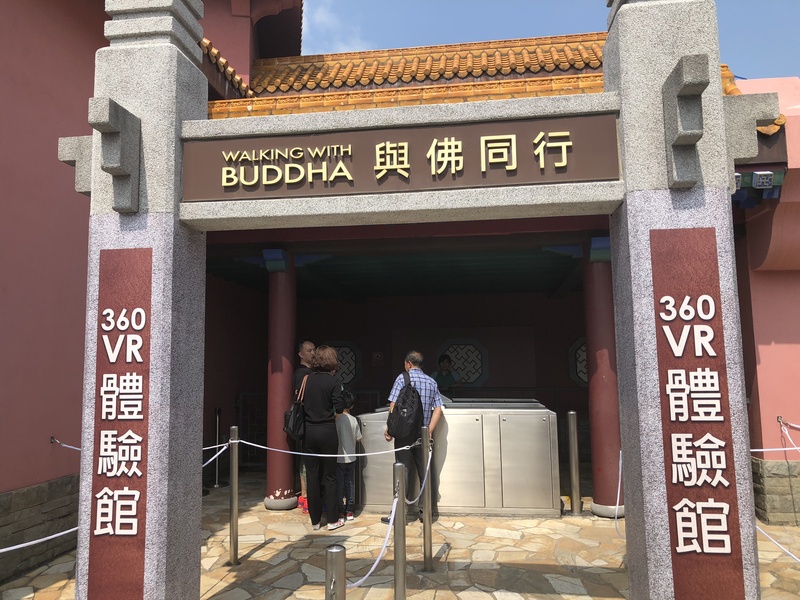 We experienced Walking with Buddha, which takes you through the life journey of Prince Siddhartha attaining enlightenment and becoming Buddha and Stage 360 where you get a chance to get up close and personal with how the special effects technology is used in Action Movies. 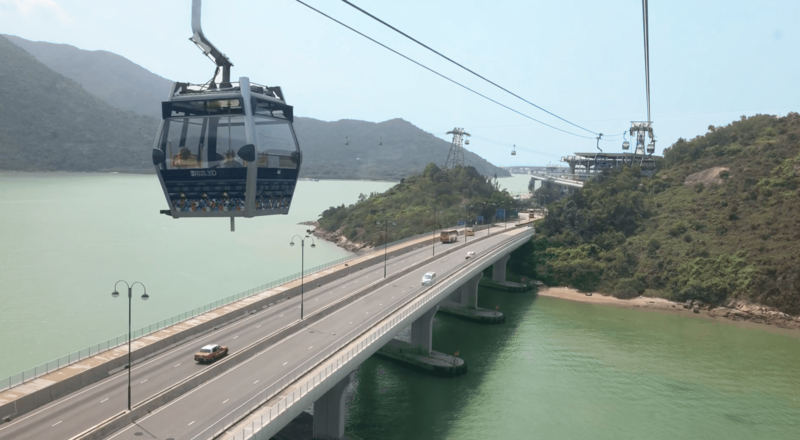 You can buy tickets for these separately or you can always go for the 360 Fun Pass. 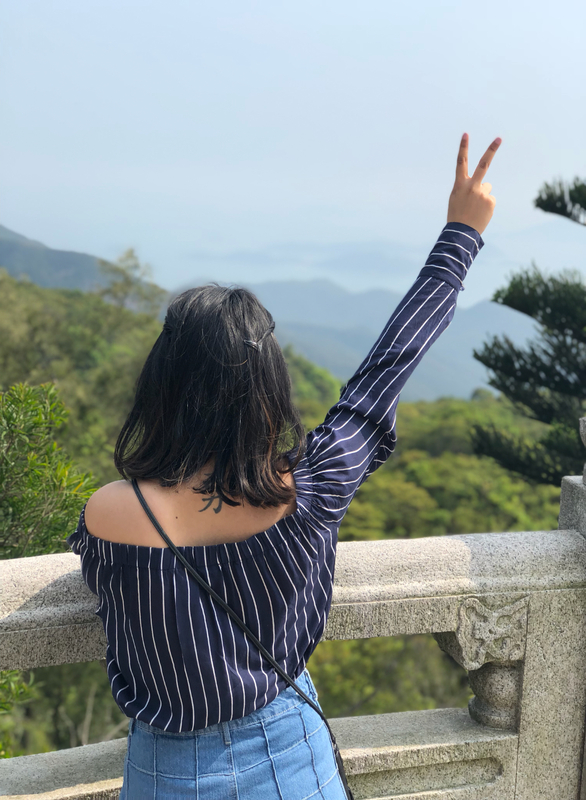 You can check details about the packages HERE. 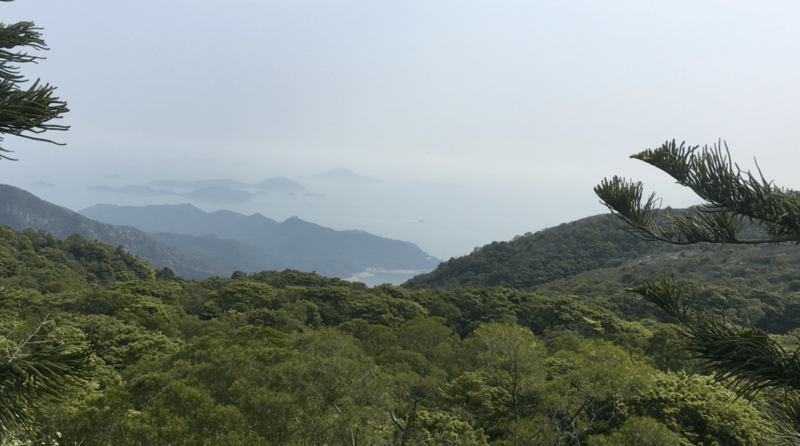 The view from the top is absolutely amazing, we stayed there for a while admired the views of the valley below and then headed towards the Po Lin Monastery. 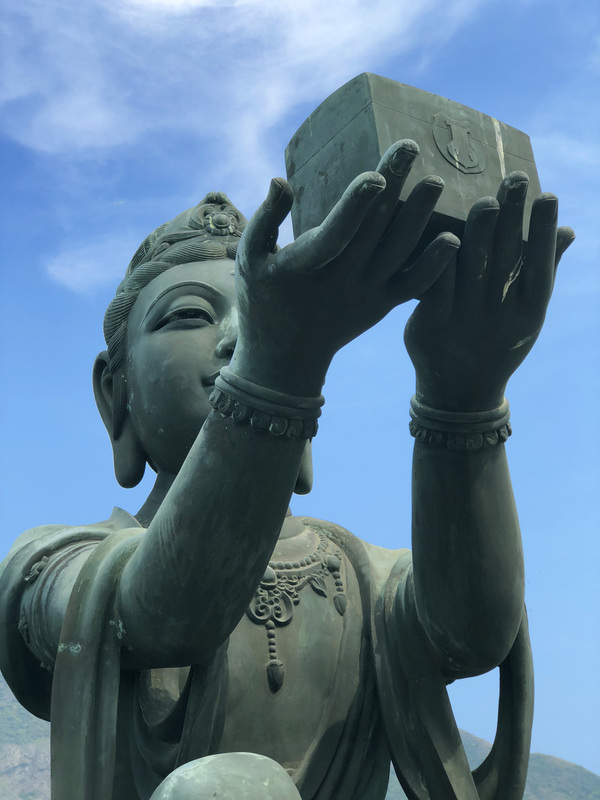 When we visited the monks were praying and thus the entry was restricted so we admired the views from outside, there was a no photography sign and thus we didn’t click the photos of the interiors. 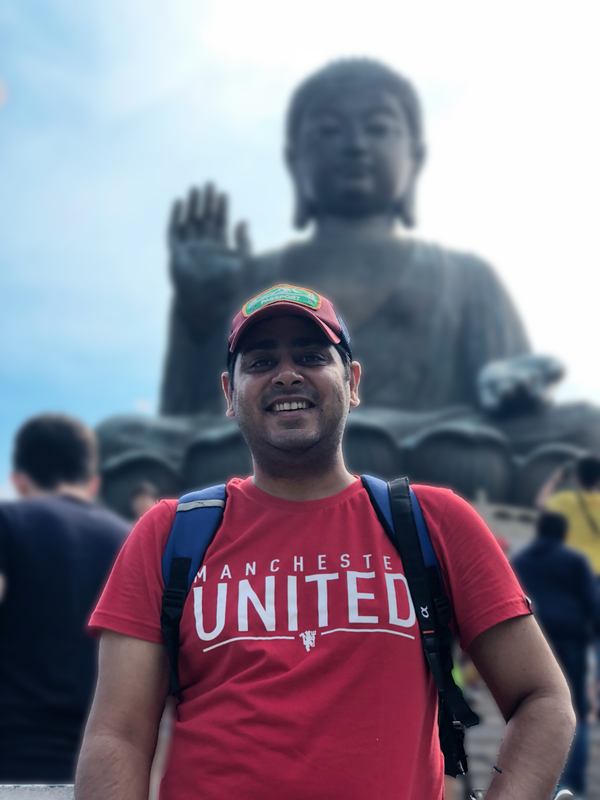 By this stage, we were feeling a bit hungry, so we grabbed a bite at the monastery, which has a vegetarian restaurant. 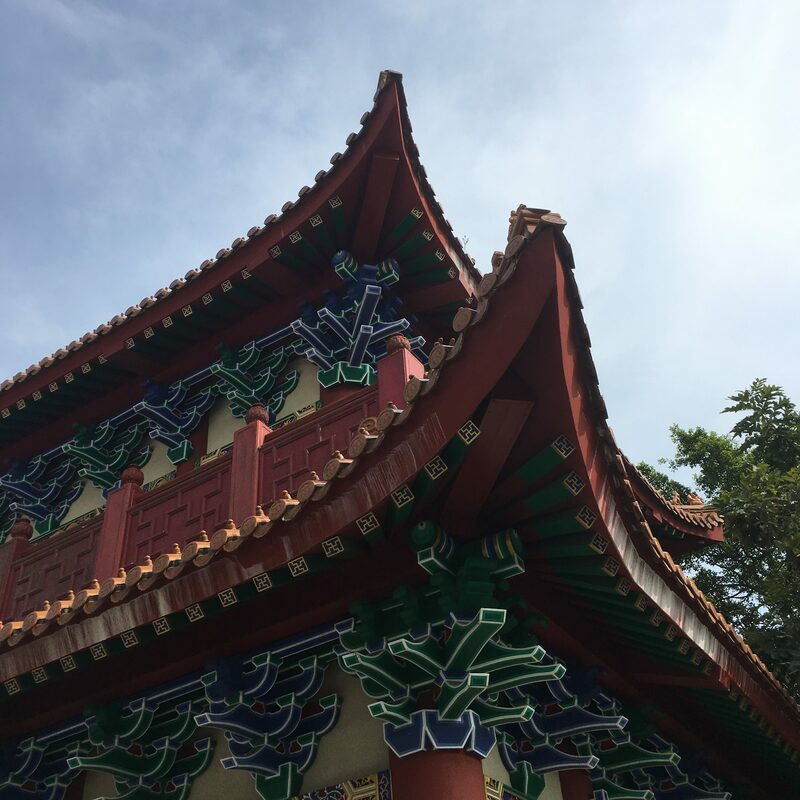 There are a few set meal options here, but since we weren’t too hungry we bought a few things from the snack shop – some spring rolls, a fired sweet dumpling and the very famous beancurd pudding. 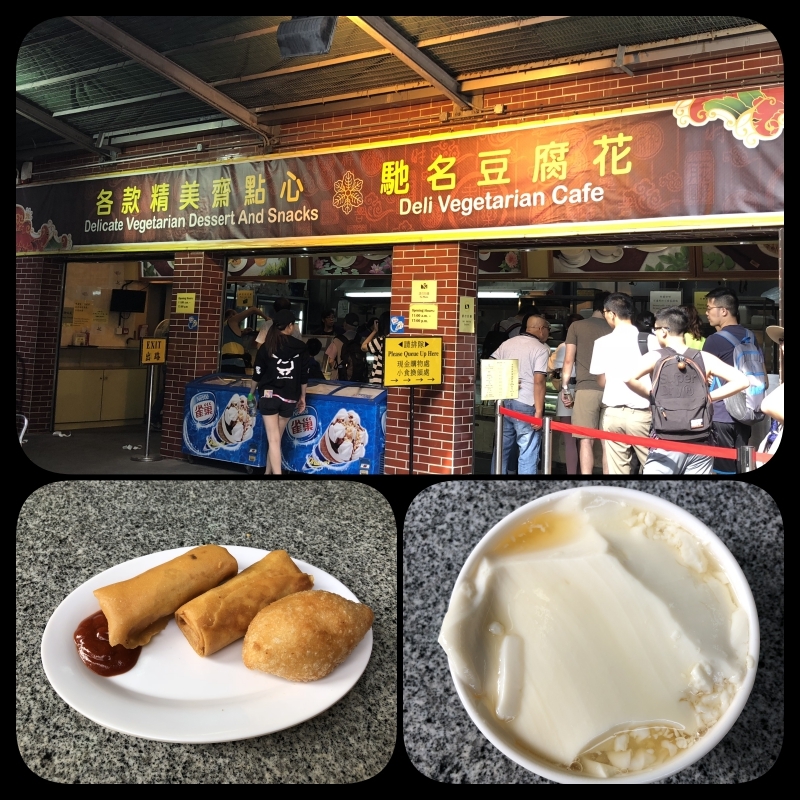 The spring roll and the dumpling were nice but the bean curd pudding left us a bit underwhelmed… it honestly didn’t live up to its hype. 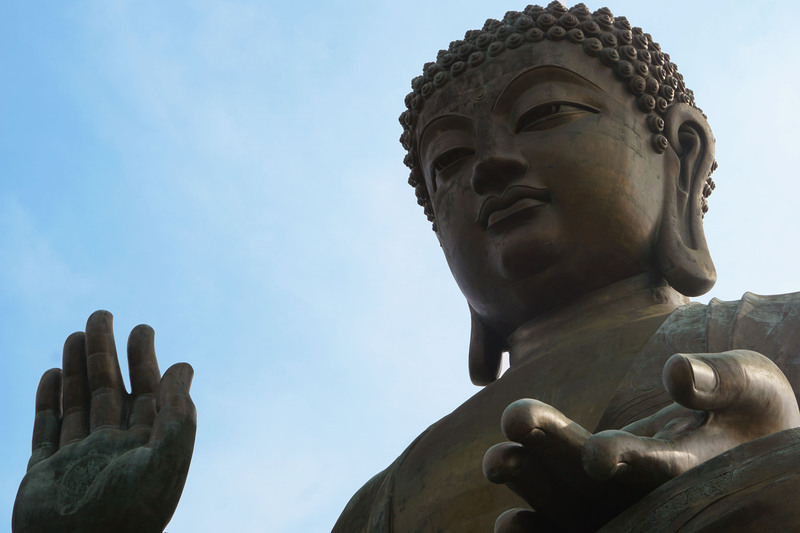 For timings and tickets, you can refer to Ngong Ping’s official website HERE.